A nuclear bunker for China’s top leadership, their subordinates, troops and staff is built within the world’s most deeply buried limestone karst caves that extend more than 2km underground, beneath an unusually thick, hard layer of rock, a geological survey has found. 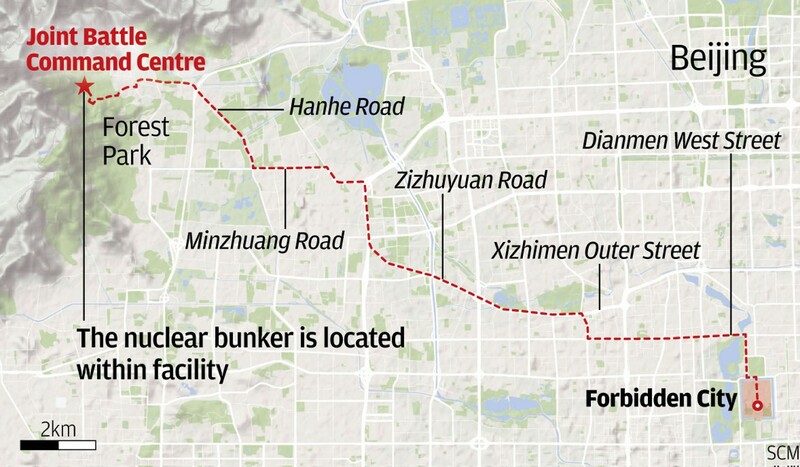 Located under a national park about 20km northwest of the central government’s headquarters in downtown Beijing, the fallout shelter is situated amid a network of caves that has space for a small city and a stable supply of drinking water for a million people, according to the government-funded study. 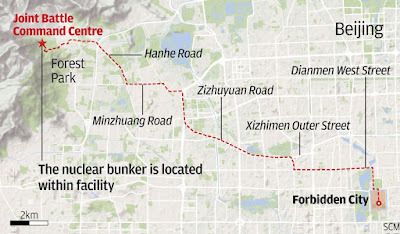 The bunker is part of the Central Military Commission’s Joint Battle Command Centre, which was revealed to the world in 2016 when state media reported that President Xi Jinping, dressed in fatigues, had visited the facility. WNU Editor: I am familiar with the region. A lot of mountains.